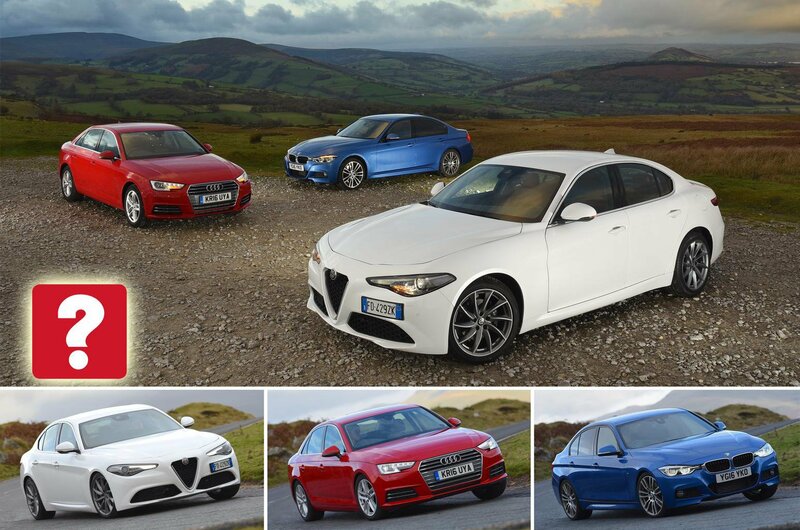 The Alfa Romeo Giulia ends a five-year hiatus from the executive class for the Italian manufacturer. In bygone years, we got used to models like the 156 and 159 tackling established leaders from Audi, BMW and Jaguar, albeit without much impact. Now, encouragingly, Alfa’s all-new Giulia features all-important low CO2 emissions from its 2.2-litre diesel engine, a driver-focused rear-wheel-drive layout and the traditionally sharp looks that Alfa is famous for. 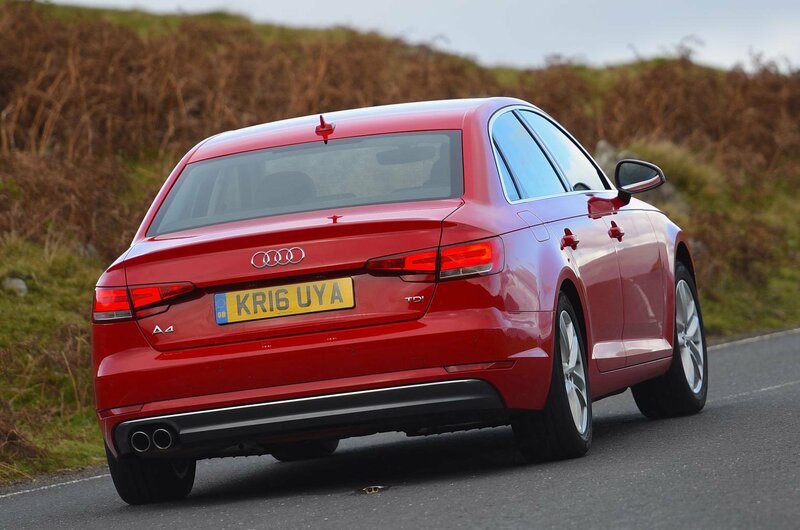 It takes on the Audi A4, not only the class leader and our 2016 Car of the Year, but also one of the most rounded cars on sale. Fitted with Audi’s V6 diesel engine it offers superb performance and smoothness, yet is surprisingly clean and frugal, too. 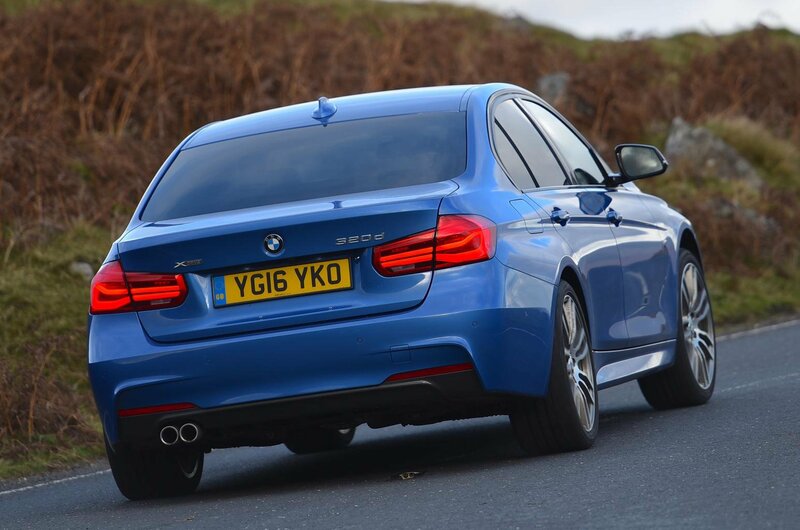 Also looking to fend off the Giulia is the BMW 3 Series. It’s getting a bit long in the tooth, but needs to uphold its reputation as the driver’s choice; like the others here it is tested in diesel automatic form. Unlike the A4, the Giulia isn’t available with a six-cylinder diesel engine; the 2.2-litre four-cylinder diesel we’re testing here is the most potent option. However, it is the lightest of our trio, so it wasn’t that far behind the A4 in our acceleration tests, albeit on a soaking wet test track. 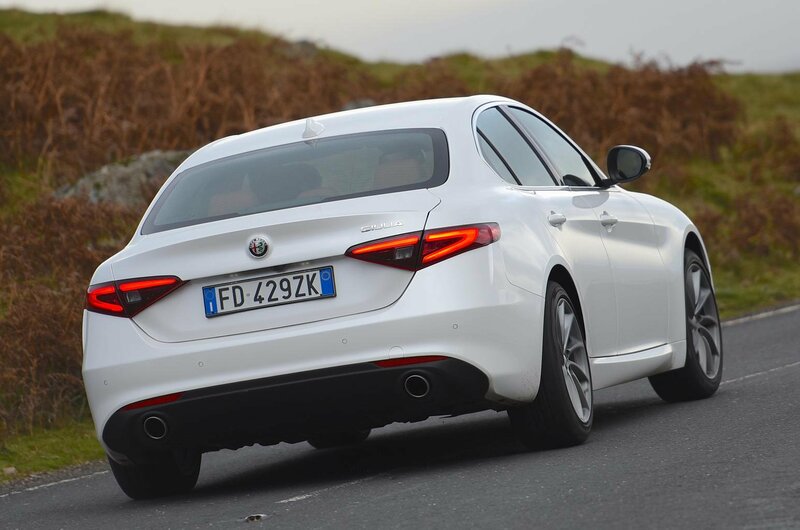 The Giulia pulls well from just below 1500rpm and its engine stays strong even at high revs. This is complemented by impressively sharp accelerator pedal response and a quick-shifting eight-speed automatic gearbox. The 3 Series is the only car here with four-wheel drive (a rear-drive version is available), and that helped it pull away cleanly in the wet without spinning its wheels. The four-wheel-drive system (called xDrive) also adds weight, though, so the 3 Series can’t keep up with the Giulia once it’s on the move – despite having a slightly more powerful engine. That said, its eight-speed ’box is almost as quick to respond as the Giulia’s and a bit smoother in stop-start traffic. Meanwhile, the front-wheel-drive A4 is officially the quickest and, although it had issues getting its power down in the wet, it was the swiftest to 60mph. Its seven-speed gearbox isn’t quite as quick thinking as the others, but its six-cylinder diesel is by far the smoothest and quietest engine in all situations. The BMW’s is the noisiest. 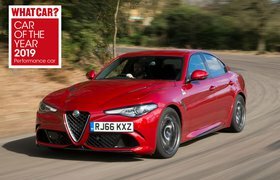 Alfa markets the Giulia as the sporty choice, and it keeps its promise in terms of its handling. It has the lightest, but also the quickest steering, making it feel the most eager to change direction. Coupled with superb body control and outrageous amounts of grip, it’s easily one of the best handling cars in this class. The 3 Series is nearly as enjoyable to drive quickly, though. In xDrive form as tested here, it felt the most planted in the soggy conditions our tests were conducted in, and its less aggressive steering makes it easier to drive smoothly. Audi has taken a more relaxed approach with its A4; it grips well, but it’s the least agile of the trio and its steering, while precise, fails to ever really involve you in the action. On the side, the A4 rides the most comfortably, sponging away abrasions well at all speeds. The sharper Giulia suffers here; it remains fairly composed at speed, but struggles to stay compliant over ruts and potholes in town. It’s the 3 Series that strikes the best balance, feeling firmer than the A4, but always keeping its cool when crossing broken surfaces.